Predictions can be fun, especially when they’re predictions based on hope for a better future. Back in the 1950’s, it was predicted that one day, we’d all have jet-packs that would enable us to escape traffic and fly to work. While those jet-packs didn’t become a reality, solar energy is now playing an important role in public transit, reducing traffic, pollution, and commuter frustration. That role will become even larger by the end of 2018. Most forms of transportation, including railroads, planes, buses, and cars, can already be powered by solar energy. In 2016, the Solar Impulse 2, a solar- powered plane, became the first to fly around the world. In China, solar buses are used in cities to reduce their carbon footprints. In Australia, a solar-powered car designed by engineering students, the SolarSpirit, competed in the 2017 Bridgestone World Solar Challenge. The number of solar options for powering our roadways is also increasing. Solar powered street lights are designed to harness the power of sunlight and stores it in batteries for use at night. That means that cities can not only reduce energy costs, but use that money for more worthwhile social projects. In the Netherlands, the world’s first solar road is exceeding expectations for energy production. According to what the data still being collected reveals, reaching the goal of building more solar roads may become one of the solar energy milestones of the future. Transportation isn’t the only area in which the use of solar power is predicted to increase by the end of 2018. It’s expected to grow even faster within the home energy sector. The number of solar water and space heaters sold are expected to rise, in spite of the recently enacted tariffs on imported solar panels. People have even begun heating their pools with solar energy! The technology converts sunlight into heat, yet can also be used to cool the water at night. A substantial increase in the number of wearable solar products is another of the predicted solar energy milestones for 2018. Solar-powered watches don’t need to be recharged at night, and it may not be long until that technology is available for smart phones as well. There are already solar-powered backpacks capable of charging smart phones, but it remains to be seen what amazing new types of products will be introduced into the market by the end of the year. One of the most important solar energy milestones predicted for 2018 is a substantial increase in floating solar panels, which don’t require either land or rooftops. Another is still more technological advances making solar energy storage more efficient. All these factors are powerful contributions to making 2018 the year that fossil fuels no longer outpace renewable energy sources in India for the first time. 2018 is also the year that Mexico will reach over 3GW of renewable energy and China will double its number of behind the meter rooftop systems to 14GW. Another first for 2018 may be Britain achieving the goal of the country being powered for 72 straight hours without the use of coal. One development that may help make that possible is the diversification of oil and gas companies. For example, British Petroleum (BP) recently invested $200 million in Lightsource, one of Europe’s biggest solar development companies, which also has offices in the United States. The company has already signed a 25-year contract with Mid-Kansas Electric Company. Construction on their new solar facility won’t begin until 2019, but it is set to become the largest solar farm in Kansas once it is completed. More states are starting to follow New York’s example in setting and achieving clean energy goals. 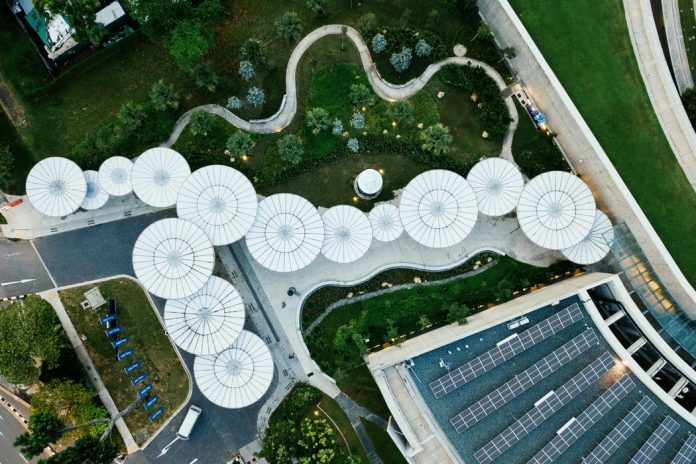 In just six years, from 2011 to 2017, New Yorkers were able to increase their solar power usage by a full 1,000 percent. To achieve that level of success, the New York State Energy Research and Development Authority, the NY Sun Program, the New York Power Authority, and Long Island Power Authority all worked together. Twenty-nine states now have clean energy goals. California and Hawaii are two states with the goal of achieving 100% renewable energy. Achieving that goal means expanding the definition of renewable energy sources. For example, Hawaii include many other types of power sources in its definition of renewable energy. It counts biomass crops, animal waste, ocean waves, and hydrogen as valid renewable energy sources in addition to solar, wind, geothermal and hydroelectric energy. California also counts biomass and renewable gases like biomethane. However many new renewable energy sources are discovered and added to the mix this year, solar energy remains one of the simplest and least expensive.